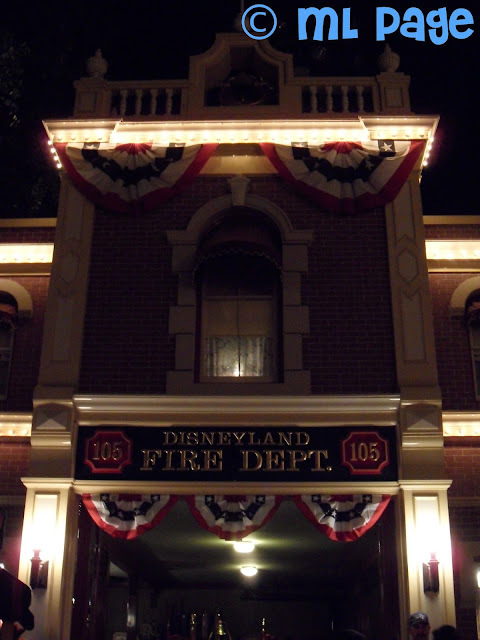 Before we stopped for pictures on Main Street or by the Castle we stopped for a picture outside The Disneyland Fire Dept where a light is still left on for Walt since he had an apartment up there when he was alive. Awww that made me tear up a little. I didn't know that, must have been so neat! It is so incredible!! It gives me that feeling in my heart just thinking about it! lol!